UPDATE: Read more about an iWeb replacement coming out soon. As many of you may know, Apple’s plans for iWeb don’t seem very bright. The last update of the iLife suite didn’t include any update to iWeb and they aren’t even selling iWeb on the App Store at all. Then to push the knife in a little deeper they announced with iCloud that iWeb publishing will be discontinued as of June 2012. So…the question then comes to be, what happens now. So here are my suggestions for all my great iWeb fans of what to do with your websites done in iWeb and how to continue creating a great website easily. First off, iWeb will run on your computer for quite a while, so if you are privileged enough to have a copy of iWeb on your Mac, that’s great, and you will be able to continue to use it, however you just won’t be able to publish to MobileMe in the future. So if you have invested a lot of time in your iWeb site or want to continue to develop and build your site in iWeb that is totally fine, however just be sure to make the plans and arrangements to host your website somewhere other than MobileMe. My suggestions would be to get a web host somewhere such as RAGE iWeb Hosting (iWeb Optimized Hosting). So as you can see you’ll still be able to run, create, and manage your site with iWeb for some time if you already have it. The problem is…that iWeb will most likely not be getting an updates or any further development. When that happens with software that means that it’s shelf life clock has started. There will come a time where your current version of iWeb won’t be compatible with your operating system or hardware and you’ll have to make a decision to move your site to a different platform, or simply not upgrade your system. My suggestion is always to keep your system current, so then the question then comes…what are my alternatives to iWeb? There are many other options for those that want to switch to a different platform to host their website. The success of iWeb has been that it’s simple and easy to make a website. That’s been the whole motivation and drive for me to run this website. I being a web developer and an ex-apple employee have loved developing websites with iWeb, but there came a time when my clients wanted a site that had more features, and a web-based backend to manage the site, a more powerful blog, etc. etc. It was then that I started developing website with a system that has now become my favorite web development platform and tool. That platform is WordPress! Some of you may of heard of wordpress and other’s it might be something totally new. WordPress is a free, Web-based software program that anyone can use to build and maintain a website or blog. It was originally intended as an easy way to set up a blog. 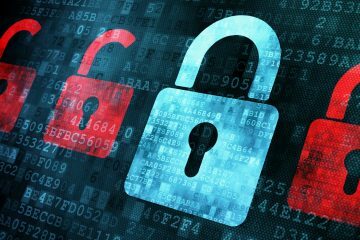 But, thanks to the efforts of a large “open source” community of WordPress programmers working to extend and improve its capabilities, WordPress has become much more than just a tool for bloggers. Today’s WordPress is really a “content management system” (CMS), which means that it can be used to run full-sized, social media-rich business websites. This website here is actually a WordPress website, not an iWeb website. 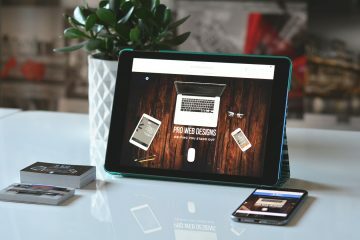 By just browsing this website you can see the great features that WordPress as a CMS can be for those who want websites. So then the question comes, “I’ve been using iWeb for so long and I’ve never touched WordPress, how do I learn such a system?”, well ask no longer, I’ve been working on a new website to continue this website with the focus being on WordPress. So I’m launching the site called Learn2Wordpress.com to help those of you who wish to transition from iWeb to a more powerful web publishing platform. It’s still pretty new and I’m adding more content all the time, but it’s goal is to help my iWeb users and fans to transition into learning how to use wordpress to develop their own sites. So I urge you to visit my new site and let me know what you think. EverWeb – EverWeb is like a new, modern version of iWeb. Everything you loved about iWeb but with new features like mobile sites, drop down menus, built in SEO and more. RapidWeaver from RealMac Software – This one was alive even before iWeb came to be. In fact when iWeb first came out I remember thinking, this is a lot like RapidWeaver. 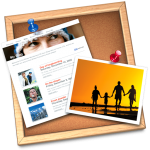 RapidWeaver continues to be developed and is a great option for those that are very familiar with iWeb. Sandvox from Karelia Software – This is another one that is very similar to iWeb. SquareSpace – Squarespace is a nice and easy onlinepaid subscription service that lets you easily create and manage a website. They take all the headache out of building your own site. There are some limitations, but it’s pretty expandable to create what you want. The only problem is that it’s a monthly subscription service in ultimately it’s the most expensive option in the long run. There are of course many other options to create website easily such as Freeway, Posterous, Tumblr, Blogger, even Facebook as a Page, but these above are my top options if you are looking for easy software similar to iWeb. But of course as I mentioned above I think WordPress is by the far the best publishing platform for building a website. For that reason I created a whole new website Learn2Wordpress.com where I’ll continue to teach you everything on how to get a website running with WordPress. All in all iWeb is and has been an incredible tool and I really wish Apple would continue to develop it as I think there is so much potential there. If you think about it iWeb is the only iLife application that doesn’t have a pro application counterpart. iPhoto has Aperture, iMovie has Final Cut Pro, Garageband has Logic Pro, iDVD has DVD Studio Pro, and iWeb has…nothing. I think if Apple were to serious invest in creating a pro iWeb application it would soar through the roof. I hope that they realize that, but until they do I will continue to add great iWeb tips and tricks here on iWebUnlimited.com and will start to build more content on Learn2Wordpress.com to help those who want to go to the next level in web development. 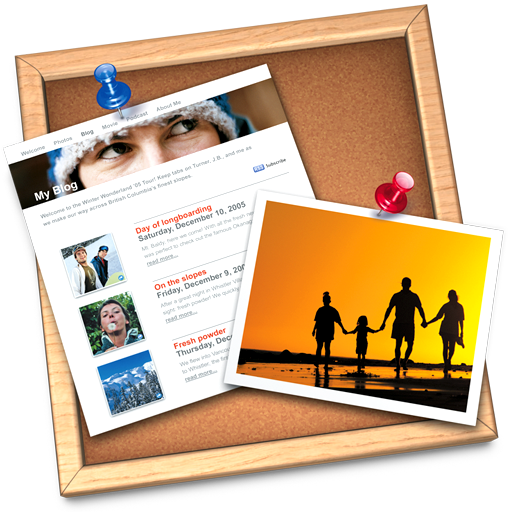 With iWeb, I’ve been able to build whatever I imagine and publish it pixel-perfect on the www. iWeb is the best combination of simplicity and power in an app that I have ever used. A true WYSIWYG. 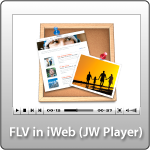 After wrestling with Flash and Dreamweaver for years, I launched iWeb and never looked back. I have built quite a few successful online businesses in the past 4+ years on iWeb. Million-dollar web agencies look at my sites and ask how I was able to create them without writing a single line of code. I just say, “iWeb”. Anyway, once again, you’re rescuing us all single-handedly and carrying us aboard the S.S. WordPress. Thanks for being here for all of us. you’ll never know how much it means. I’m excited support you in your new WordPress venture. I’ll be there as I graduate from iWeb and up to WordPress and hopefully custom code –one day. We owe you BIG TIME. We all do. Keep up the excellent work. couldn’t have said it any better. This is my second time on this site and I found it extremely helpful. Thank you. I’m appalled by the attitude of Apple concerning the iWeb software. I built a business with a £2.98 domain name, and an iWeb website. I now have three sites, and employ five full time staff on the back of it. Admittedly, I ftp to another host, not Mobile Me. However, if I can’t build and manage my existing sites, or build new ones myself, my business will collapse with the overheads related to paying website designers and maintenance costs. I have multiple domains to expand and use, which are now redundant. Hasn’t ANYONE considered the catastrophic consequences to new start up companies and cottage industries that have developed because of this brilliant software. It has to be one of the greatest tools ever developed to release new entrepreneurs from the financial shackles of business on the web, and enabled new businesses to to promote themselves in their own individual style and extend their own creative influence on their presence on the web. I’m mighty glad you’re across the pond my friend, with out you, and others like you, small fry like me, would sink without a trace… HELP! Is there anywhere to sign in to ask Apple to re-consider their decission? iWeb is a very useful software and it does not make sense they stop it completely. I recently purchased an IMAC computer and I love it. Ive always owned a Windows computer and I’m switching to Mac. I have my Website published thru Yahoo publishing and they use Sitebuilder which is a Windows based program, I asked them if there are any other programs for Mac which I can use to continue my site. I was told iWeb will work but has a few minor issues. Should i go ahead and redesign my entire site with iWeb going out? Will it be around long enough that i”m not wasting my time? I recently purchased ILife from Apple so I could have a copy of IWeb and it seems like a very nice program. I hope Yahoo and some of the others wise up and get more Mac based programs for rookies like me. I wholeheartedly agree…..with the predominant sentiment. iWeb os wonderful! I have designed/built about a dozen sites – many for my own use, many for clients. Going way back to 1995 I started web-site design using NetObjects Fusion….at that tile it was available for both MAC and PC……then I discovered iWeb – and life was good again. Couldn’t we form a UserGroup and organise – launch a survival campaign aimed at Apple……if we make enough noise someone will pay attention…. Heck – I’ll volunteer to design the site – and do gruntwork! Ron: At this point, I wouldn’t use iWeb if I were you. There’s no good reason to learn iWeb (even though it isin’t that hard) if you’re going to have to move to something else in a few years. Also, you’d have to redesign your website, because of the fact that other programs can’t open iWeb projects. I think if Apple really put some work into iWeb, it could easily skyrocket and outsell many other programs. You’d probably get lots people moving over to Mac just for it. After-all, getting a website designed usually costs about the same as a lower end Mac, and sometimes more. Thanks for putting your time and creative effort into helping us loyal Apple and iWeb users. You put it all very well. Jason, I have follow you for a while… and i have to say .. YOU ARE THE BEST !!! I am 150 % on your right side … and will follow you on word press journey ! Can’t wait what you have to show !!!! Wow, so “comforting” to know I am not alone on this sinking “iweb” island. Spent 2 hours at the apple store trying to learn what to do about hosting and a software program for site. The “specialist” has really been listening to folks and gave me some good suggestions. I appreciate your input here. I plan to jump on your wordpress learning site to see if this is where I need to “move” to for the software side of the problem. I’m in disbelief about iweb. I’ve made some incredible websites using the software. 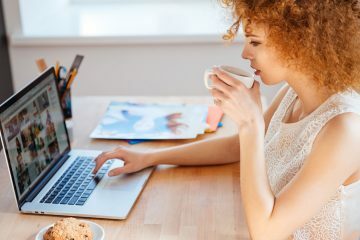 I’ve researched other alternatives and everything seems to drag us back to the horrid 1980’s looking boxy websites that lack creativity and require coders. Even the sites you mention don’t offer the incredible flexibility of iweb. I think it didn’t catch on because they didn’t invest in showing ppl what it could do. I publish to a folder anyway so will continue using it for a while. I guess then I’ll be stuck with wordpress. Praying they let us use iweb with mountain lion. Thanks for keeping us updated and for all your hard work over the years. I will follow your wordpress page just in case. Mac missed a big opportunity here and given they are selling so many machines it makes sense to be able to one click everything without going outside the house. I’m going to look into other apps because I hate the look of wp. iWeb will come soon to iPad….I guess it will come to Lion too. I WISH YOU TO CONTACT ME… I HAVE A BUSINESS OPPORTUNITY TO SHARE WITH YOU. WORKING AND LIVING IN SHANGHAI, CHINA FOR THE PAST 3.AND A HALF YEARS. MY PARTNER AND TEAM HERE IN CHINA. If Apple does intend to kill off iWeb for good, why not donate the software to an open source group. At least then, customers who depend on iWeb would have a longer term solution. What a great gesture this would be for a company who’s lately been dealing with difficult public relations issues (worker conditions in China, etc.). Indeed! I’m sure lot of developers would love to reborn iWeb as an open source project! Please Apple, donate the code! I also started out using the Net Objects Fusion software. Then I used Freeway Pro. Then I found iWeb. iWeb was (and is) a great piece of software. As of Mountain Lion it still works so that is good news but I can’t help imagine how cool it could be if they were still developing it. If I ever have to I’ll keep an old computer around to run it but by then there will probably be something new and better. I’ve dabbled with Rapid Weaver a bit and didn’t care for it. I’d rather keep on with iWeb for now but I will definitely check out Word Press too. Can’t the iWeb community start a petition and express to Tim Cook that furthering iWeb and developing a pro version of iWeb should be something that Apple should pursue. Simply, It’s a great creative tool / product. I still can’t understand why it’s being discontinued? My current option is to finally dive into Freeway Pro 5 by Softpress. let´s ALL send Tim Cook (Apple´s CEO (took@apple.com)) an e-mail with our desire to re-continue iWeb, let´s also send him this page; and if somone knows other Apple´s Staff´s e-mail, comment it,and also send him this email. Tell everyone you know to send this e-mail, because more is better. Your site is my excellent source for tutorials. I don’t know much about coding and I’d rather do videos than create codes. Took me awhile to set up. But now I want to make my site with flash to make it more attractive. Also, I found machighway is a great hosting site for iweb users as well. Fast response and excellent customer service. iWeb and beyond; you are AMAZING and thats not a term I use very often – quality of advice sets the standard – and btw why exactly are apple giving up on a website building software – perhaps websites arent relevant to a technology company (!). 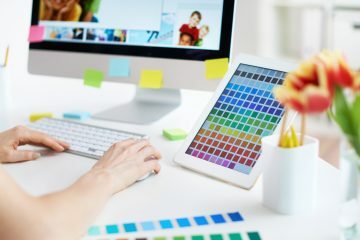 We have word processing applications out there that serve a purpose – for beginners and pro’s alike – because we need to communicate – arent websites a way to communicate – personal or commercial – and iWeb does that beautifully and allows us to connect which is what, for most people, technology is about. What happened to MobileMe? What is iCloud? Where should I host my website after MobileMe? 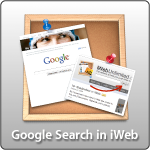 What happens to iWeb? Will iWeb be discontinued? Does iWeb work with Mountain Lion? What should I do?